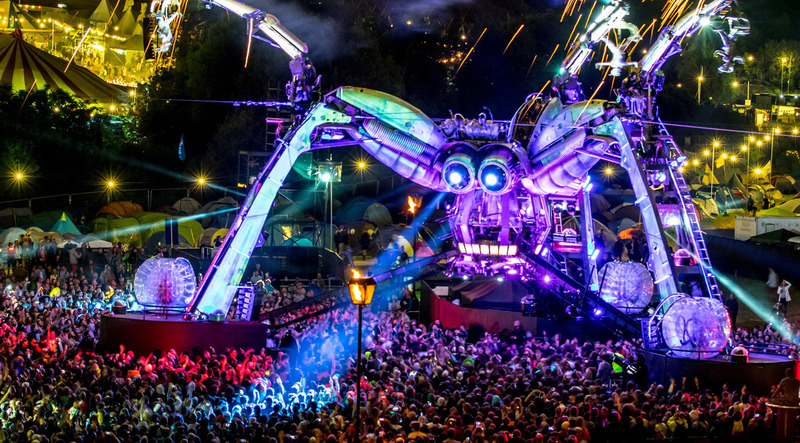 Are you ready to step inside Arcadia’s immersive world where 50-foot fireballs ignite with a thunderous shockwave, multi-million-volt lightning bolts crackle through the arena, robotic creatures swoop from the sky and thousands let their spirits fly? Arcadia’s spellbinding Metamorphosis show will be performed on both the 5th and 6th May 2018 at the Queen Elizabeth Olympic Park (Stratford London) with each day having its own musical identity. For Sunday the legendary RAM Records take over the Spider for a day of pulsating bass. With over a quarter of a century at the cutting edge of dance music, RAM has gone from strength to strength, creating a unique musical hub that has helped define the very essence of drum n bass. With a high octane musical intensity that works symbiotically with the explosive Spider. RAM’s big guns will be taking the controls to celebrate Arcadia’s anniversary in style.